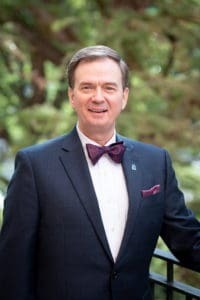 Jan. 22, 2019 | LITTLE ROCK — The Association of Social Work Boards recently elected Harold Dean, LCSW, OSW-C, clinical social work program manager for the Myeloma Center at the University of Arkansas for Medical Sciences (UAMS), president-elect of the association’s board of directors. Dean will serve as president-elect for one year, followed by a two-year term as president and a fourth year as past present. Dean was elected at the association’s 2018 annual meeting of delegates in November. Dean served as a director at large on the association’s Board of Directors from 2016 through 2018 and on the 2016-2017 Mobility Task Force. The nonprofit organization, founded in 1979 and including members from the United States and Canada, provides support and services to the social work regulatory community to improve practices. Dean has worked in oncology social work for more than 26 years. He received oncology social work certification (OSW-C) in 2005. He has also worked as a field liaison for the University of Arkansas at Little Rock School of Social Work for the last 18 years. He received his undergraduate degree in sociology from Jacksonville State University in Jacksonville, Alabama, and a Master of Social Work degree from UALR. Dean was appointed to the Arkansas Social Work Licensing Board in 2013 and served as chair from 2014-2017. Dean is a member of the Association of Oncology Social Work and a volunteer with the American Cancer Society and the Leukemia and Lymphoma Society. Since 2010, he has served as co-facilitator for the Little Rock Blood Cancer Support Group, which meets monthly at the Little Rock Family Home. He was honored with a 2018 Legacy Leadership Award by the Arkansas Division of the Leukemia and Lymphoma Society. The award recognizes individuals who have a vision for a world without blood cancers and honors their ongoing passion and dedication to Arkansans.